Taste test: Doing a review of this is kind of like doing a review of 5 chips. 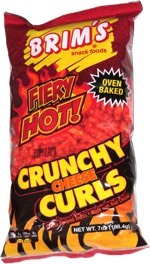 Crunchy Cheese Curls: Not bad — really salty. Pretzel Sticks: Average. Nacho Tortilla Chips: Bland, not bad. BBQ Corn Chips: MMMMM, Good! Corn Chips: Not too salty like Fritos are. Overall: Not bad, but not as good as the spicy kind that you can only find in Spanish stores. 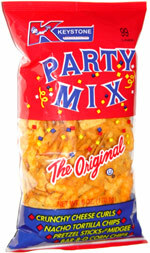 This snack was discovered by Jim O'Brien (but not the basketball coach).